Although around for some time, Qik only launched their mobile video calling technology about a year ago as an exclusive on Sprint for the HTC EVO 4G. Today, there are numerous options for consumers and we covered the benefits of each solution recently. I had criticized Qik, now a part of Skype, for sticking to partnerships rather than releasing a generic Android app that would run on any capable phone. Yesterday, the company put those concerns to rest with the release of Qik Video Connect which makes the service available to every Android user. For those wondering, this app already made a debut for iOS devices including the iPad 2, iPhone 4, and iPod touch last month at SxSW. The Qik Video Connect app will run users $2.99 for either platform, but it is entirely free if you grab it by the end of the week. Also, if the title did not give it away, the app makes it possible for Android users to video chat with iOS users and vice versa. According to the press release, Qik Video Connect works on 3G when away from a WiFi network. A spokesperson for Qik also clarified that those who own smart phones which came with the app pre-loaded do not need to bother grabbing the new app. Video calling will work seamlessly as long as they update to the latest version of their carrier-branded solution. There was no word on whether the custom versions for AT&T, Sprint, T-Mobile, and Verizon Wireless will converge eventually. However, the same spokesperson made it clear that every iteration of Qik is entirely up to date with latest release being less than two weeks old. This announcement is definitely a step in the right direction, however there are still a few things I am waiting to see. For instance, there is no word on efforts to making calling between Skype and Qik users possible. In addition, I still think either a web-based or desktop client would add a lot of value to the service. 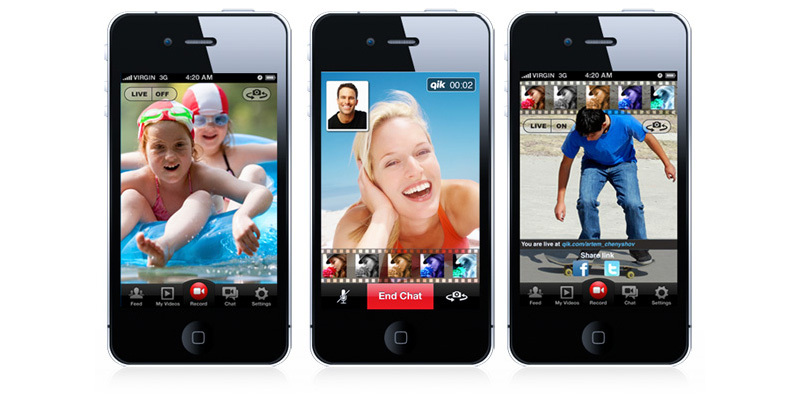 If Qik does not do you justice, you can always give other free solution such as Fring, Tango, or Yahoo Messenger a shot. Some rumors even claim that Google may launch their own video chatting solution at their I/O conference next month.